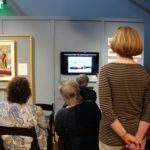 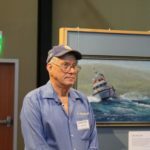 Over 200 people came out for the opening of our new exhibit, U.S. Coast Guard: Through the Eye of the Artist. 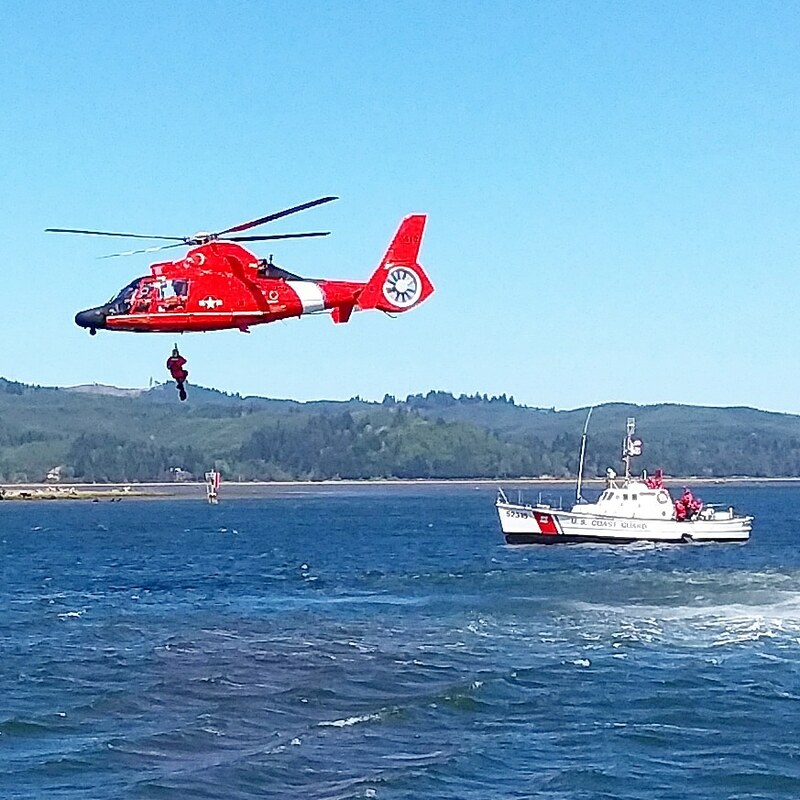 We were treated to a HH-65 Helicopter fly over, a search and rescue demonstration and tours of a 26′ TANB (Trailerable Aids to Navigation Boat). 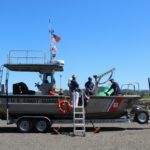 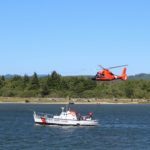 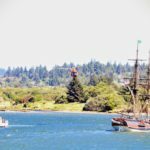 The opening ceremony was in partnership with the USCG Sector North Bend Officer’s Wardroom and the USCG Chief Petty Officer’s Association North Bend Chapter, with assistance from the USCG Aids to Navigation Team Coos Bay. 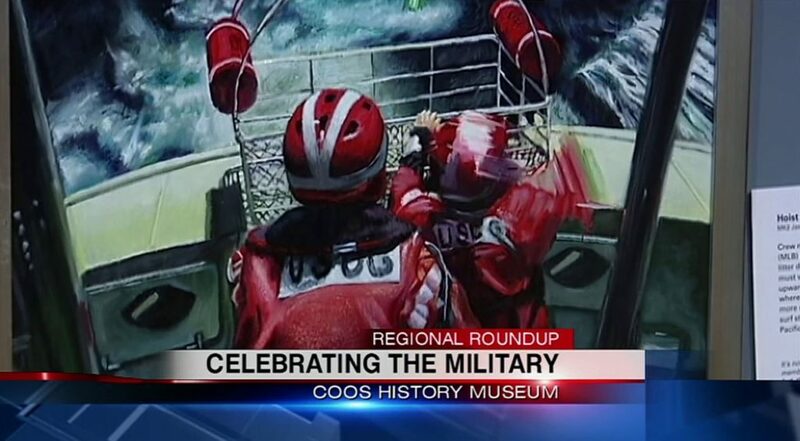 We are so grateful for the Coast Guard and the service they provide! 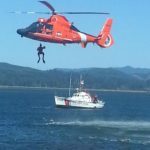 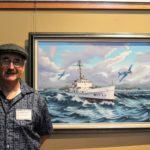 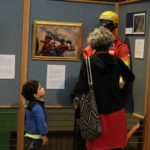 U.S. Coast Guard: Through the Eye of the Artist, features fifteen works of art by 11 United States Coast Guard artists – more than half of whom are from the West – and will be on view at the Coos History Museum from July 19 through September 16, 2018. 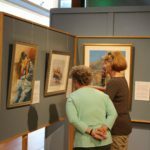 Western artists whose work will be on view are Dennis Boom, Hillsboro, OR; Frank Gaffney, Mountlake Terrace, WA; Louis Gadal, Los Angeles, CA; MK2 Jasen Newman, Port Angeles, WA; Robert Tandecki, Albuquerque, NM; Peter DeWeerdt, Tucson, AZ; and Pete Michels, Stevenson Ranch, CA. 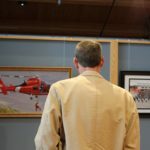 The four others are Karen Loew, New York, NY; Susanne Corbeletta, Glen Head, NY; Ken Smith, Pulaski, VA; and John Ward, Saranac Lake, NY. 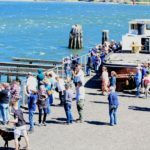 Click the picture above to view footage from KCBY. 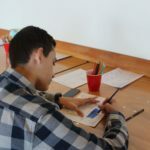 Picture Credits belong to: Becca Hill, Joni Eades and Amy Pollicino.